Sizes: 5" X 0.75" X 0.75"
Create some beautiful pens from Olive Wood from the Historic and Holy Lands around Bethlehem. This wood turns with ease and is quite beautiful with unusual dark stripes riddled through a sea of yellow. 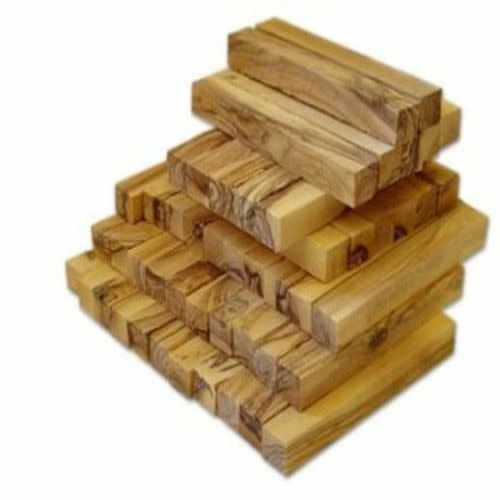 Each blank is air dried and inspected for color, grain, and to be free of defects and cracks. Olive wood trees from the ancient city of Bethlehem, Israel (also known as Roman trees) have been bearing fruit since the time of the Romans. Many religious, historical, and artistic articles are made from this beautiful ancient wood. We have a good supply of olive wood pen and wide blanks from a Bethlehem company that specializes in harvesting this wood. 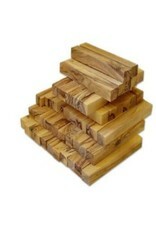 *No tree was damaged or destroyed in the process of harvesting this wood.